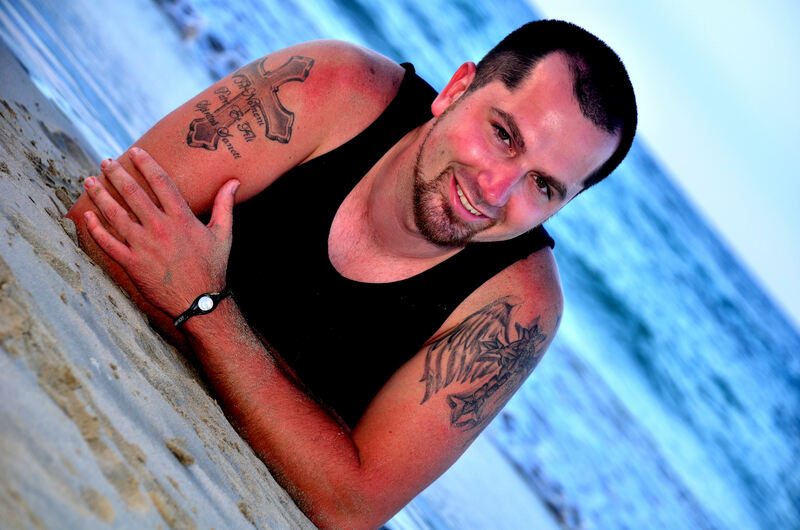 In 2011, I had the pleasure of going to the Dominican Republic and staying at Dreams Resort, Punta Cana. When I first arrived at the resort, we had a bit of a problem…. not exactly a pleasant begging but it all worked out pretty quick. Our room was very nice and the service at the resort was great. The only complaint I had during my entire stay was that the air conditioning in the rooms was just cool enough for the devil himself. Their out door pool was amazing! 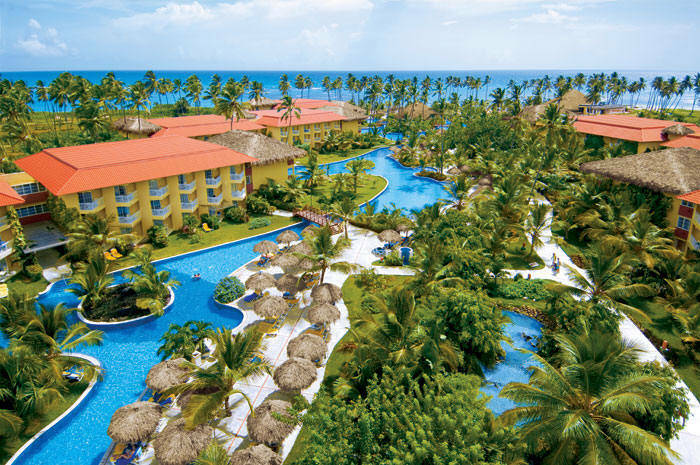 Stretching almost the entire length of the resort and having several bars along the way, and one in pool bar at the furthest tip near the ocean front. The food at the buffet was in my opinion just okay…. but at night the restaurants on the resort opened up and it was extremely good. The water was a picturesque crystal blue and the sand was white as snow. The adjacent beaches where an eye sore because of the closed down resorts and trash littering the beaches. I found myself in this paradise sitting on the beach, soaking up the sun, and trying to make time go as slow as possible. We can’t all have what we want though now can we. Though if you live in paradise it would no longer be paradise. The grounds to Dreams Resort were well manicured and the bars and restaurants well maintained. Walking down the long paths through the palm trees you see wildlife walking around. Animals such as peacocks with their gorgeous feathers and pink flamingos standing so still on one leg you almost feel as if its a yard ornament. The atmosphere and employees are so fun and welcoming along with the other guest.You are encouraged to not leave the resort but can do so by calling a taxi or the resort will schedule one to pick you up. Now for the amazing drink that I had at Punta Cana Dreams Resort. It’s called the Sammy Sosa after Dominican native professional major league baseball player “Sammy Sosa.” Here is how you make one of these delightfully tasty drinks. Make one they are heavenly! 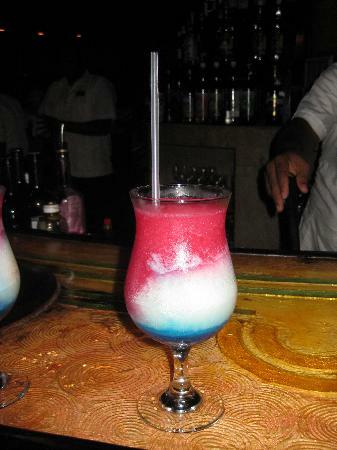 Pour one shot of Blue Curacao into the Strawberry Daiquiri – Pina Colada mix Making a Red, White, and Blue strip. Give 3 stirs with a spoon and you now have a Sammy Sosa from Punta Cana! If you ever get the chance to go to the Dominican Republic, Punta Cana, I hope you enjoy it as much as I have and try the Sammy Sosa!